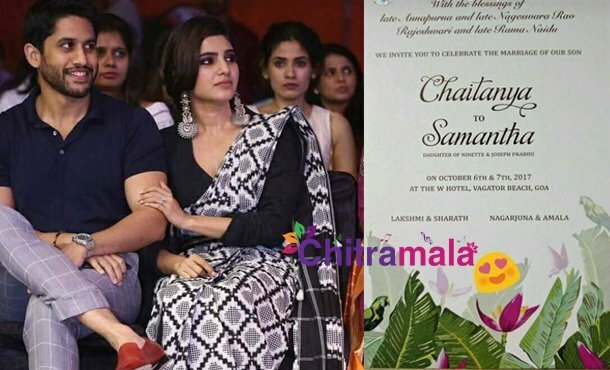 Tollywood’s love birds Naga Chaitanya and Samantha are all set to get hitched on October 6 in Goa at W Resort. The wedding day is fast approaching and wedding plans are going full swing in Akkineni family. Latest updates about their wedding is that guest list has been finalised and only 175 people will attend the wedding with Goa as the final venue for the wedding. It is heard that NTR and Ram Charan families will grace the wedding ceremony. The wedding rituals will take place from October 5 to October 8. The Hindu tradition marriage on October 6 and Christian wedding rituals will take place on October 7. Akkineni family will hold a grand reception in Hyderabad on October 10 for Tollywood celebrities and others.